Sr. Rita Schwarzenberger has been a long-time missionary in Nigeria and currently manages Hope for the Village Child. This program works with the villages in an area south of Kaduna to improve the lives of rural residents, especially women and children. 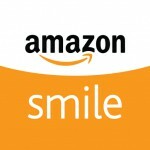 The organization advances education, healthcare, and women’s development in myriad ways. They build classrooms, mobile clinics, and clean water wells; train teachers and health workers, and help women learn to sew, knit, and make soap for income; establish programs for immunizations, health education, antenatal care, and corrective surgery for children with rickets, and more. 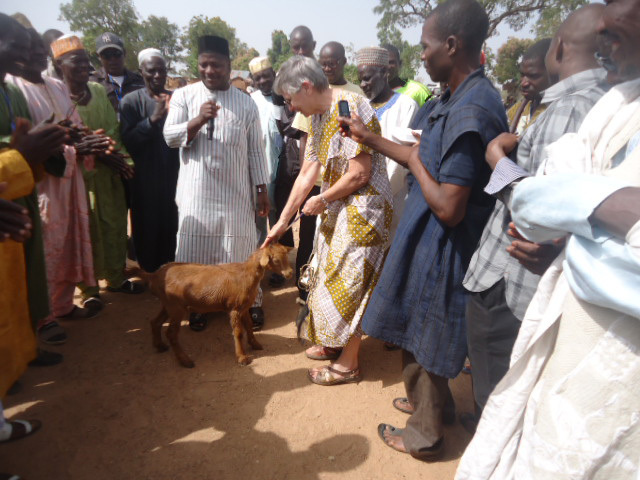 In celebration of its 50th year in Kansas, the former Great Bend Dominican congregation began a mission in Nigeria, West Africa. 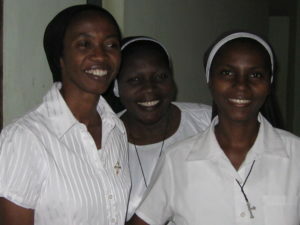 Dominican Fathers were already present in Nigeria, and invited the Great Bend Dominicans to join them. 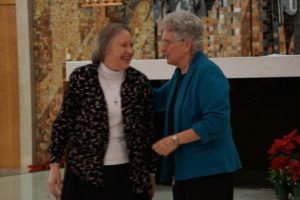 In 2007, what began as a mission, officially became a separate congregation: the Dominican Sisters of St. Catherine of Siena. Today, the sisters administer five schools, operate two clinics, manage a Christian training center for women, serve in parishes, and participate in primary evangelization. Sr. Manuela Crisologo Gonzales teaches religion and mentors students at a local high school, and she is involved with the youth of the San Jose Obrero (St. Joseph the Worker) Parish. 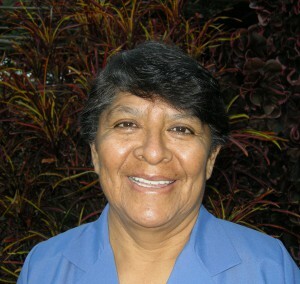 She also assists in the Equipos de Nuestra Senora program. 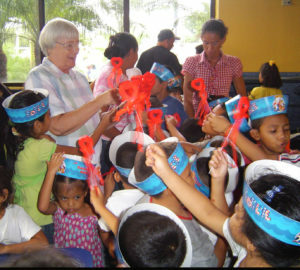 Sister Doris Regan, OP, had an active ministry on Honduras for many years. She brings us this update on the political situation in that country. Honduras has been in an extreme crisis following a seriously flawed presidential election November 26. 2017. Opposition to the election has seen hundreds of protesters in the streets citing electoral fraud. They have been repressed by Honduran military forces and more than thirty persons have been killed and others wounded or detained. The government imposed martial law and days before Christmas prematurely called the election in favor of the current President. The U. S. Government (which has given the Honduran military and police over $100 million since the 2009 coup d’état), quickly ratified that call by recognizing the incumbent as the winner, despite calls for new elections by the Organization of American States and others who warned that the election did not meet international standards. A Jesuit Radio Station, one of the few independent media in the country, was sabotaged in mid-December. There are continued death threats against Father Melo S.J. (Director of Radio Progreso) who has accompanied Hondurans for over 20 years in protests against Human Rights violations. (He himself is Honduran). The Electoral Observation Mission in Honduras of the Organization of American States decisively documented irregularities during and after the elections of November 26 and revealed a tainted electoral process due in part to President Juan Hernandez’ reversing Constitutional rulings that allowed him to run for reelection, compromising Honduras’ future governability and rule of law. There is a call for new elections with active participation of internal observers and access to all computer operations of the Supreme Electoral Council. The UN Commission on Human Rights urges Honduras to comply with its obligation to ensure that attacks on Human Rights defenders are investigated promptly. A previous report on the murder of indigenous activist Berta Caceres (March 2016) has produced no further accountability of those responsible. Meantime the militarized country of Juan Hernandez and continued US military aid to Honduras leaves the country paralyzed. International Human Rights and religious groups and more than 60 members of US Congress have called for the suspension of military and police and freezing funds contingent on compliance with the human rights conditions certified by the State Department. An Emergency Faith Delegation of United States Religious Men and Women (Jesuits, Sisters of Mercy, and Dominicans) will leave for Honduras the week of January 24th to be part of a peaceful protest at the inauguration of Juan Orlando Hernandez – please keep them and all of Honduras in your prayers.